A group of Agassiz students helping to manage the program—known as the “Green Team”—convened Friday to demonstrate programs such as food sharing to reduce waste; neighborhood litter collection with sorting of recyclables and waste; and school-wide composting. The school is also competing against 138 other Chicago-area schools in a nationwide textile recycling contest for cash prizes based on pounds of clothes and shoes collected sponsored by textile recycler USAgain. Agassiz officials and students are also discussing new year-round programs to lower the school’s carbon footprint. On Monday they will host a Recycle-A-Thon from 8 a.m.-3 p.m. featuring clothing drop-off by USAgain, shredding and recycling of sensitive documents by Midway Document Construction; and used technology collection. 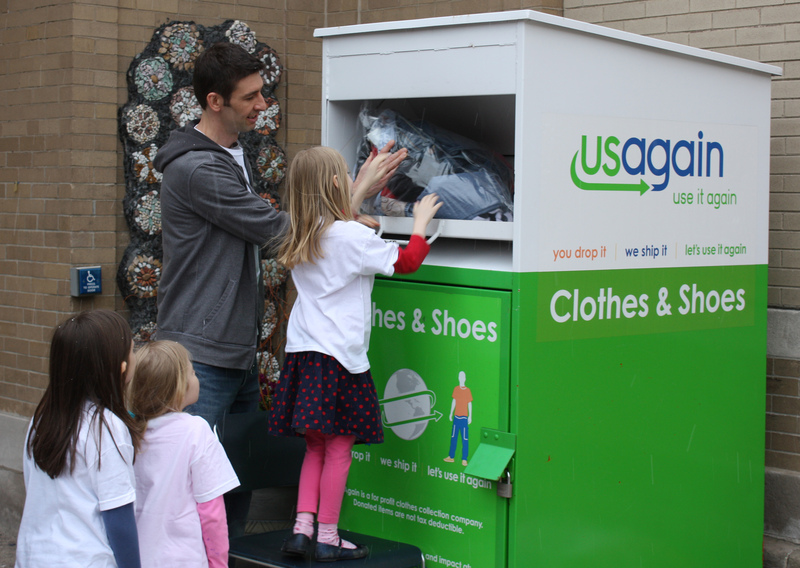 USAgain, a Chicago-based textile recycling company that helps divert millions of pounds and textiles from landfills each year, challenged area schools to collect clothing, shoes and textiles during the month of April as part of their Earth Month contest. The five schools that collect the most textiles per student will be awarded cash prizes of $1,000, $750, $500, $250, and $100, respectively. All participating schools will earn cash based on pounds of clothes and shoes collected. 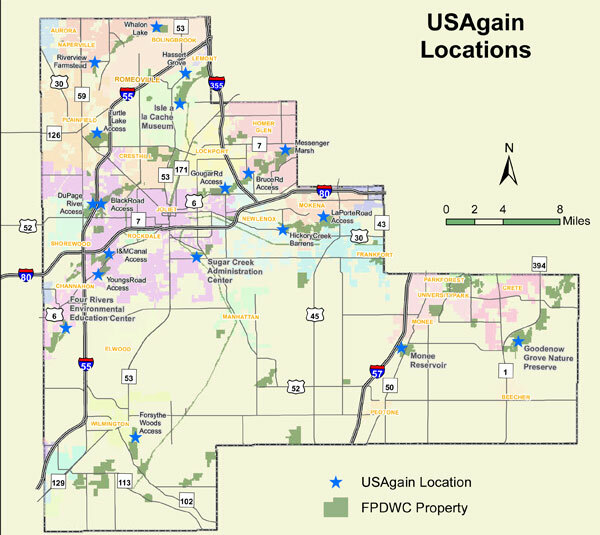 The school plans to use any money earned from the USAgain contest to put toward an expanded recycling program at the school, added Weber. Agassiz students have already donated an estimated 1969 pounds of reusable textiles in 2013.